Paul Morris Motorsports' Anton De Pasquale has claimed his second race win of the Dunlop Super2 Series season at the Red Rooster Sydney SuperSprint this afternoon. The 21-year-old has his eyes on the top step of the podium for a Dunlop Super2 round win tomorrow, having accumulated the most points from the three races so far this weekend. De Pasquale jumped to the front in Race 3 ahead of Paul Dumbrell off the start, setting the pace for the duration of the race. The young gun extended his lead to a over six seconds before claiming victory. CLICK HERE for the full Race 3 report. Prodrive racer Richie Stanaway continued to impress on his Super2 debut, demoting veteran Paul Dumbrell to third on the opening lap. Series leader Todd Hazelwood battled hard, rocketing through the pack after starting ninth. Hazelwood and Stanaway fought for second in the final laps before Stanaway slid wide at turn eight allowing Hazelwood to take the advantage. 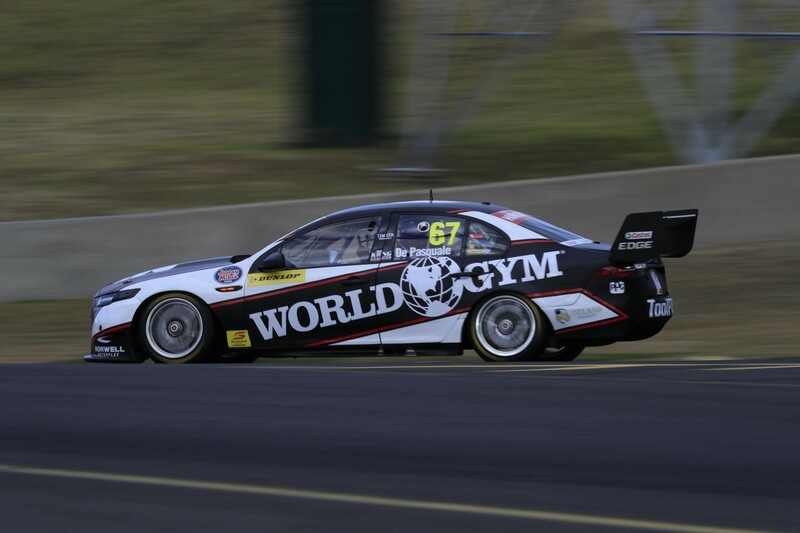 Hazelwood, who set the race’s fastest lap, still holds the Dunlop Super2 points lead ahead of Dumbrell. Defending Super2 Series winner Garry Jacobson finished fifth ahead of Jack Le Brocq and Richard Muscat. The Dunlop Super2 Series will be back on-track tomorrow for the final race of the weekend at 2:00pm.